Before I start this I have to say that everyone, no matter what age needs to read the original Sherlock Holmes stories by Sir Arthur Conan Doyle. Those cases are fun reads, will trigger not only your imagination but also the analytical side of your brain as you try to solve the cases with Holmes and Watson. Now, with that being said, I also encourage any further stories that advance the Sherlock Holmes mythos, yeah there are some bad ones but there are plenty of really good ones. This is definitely one of the good ones. Not only focusing on the Young Adult reader audience, this story also triggers interest in the past stories. I’ve even gone to read some of those stories again (especially the ones mentioned in this book) because I just had to visit the origins of Holmes & Watson. This story introduces the reader/listener to the latest crime-solving duo who are descendants of the originals. Having to live in their elders shadow doesn’t seem to be an issue, as they immediately jump in to the crime solving mode and work together as the originals. I have to admit that at first I thought of turning Sherlock into a teenage girl as a gimmick that is done only for the gimmick’s sake. As it turns out I was pleasantly surprised at how not only did it not matter but in this story made the idea a little better than a mere gimmick. Yeah, the story did at first seem like the beginnings of one of those horrid teen romance novels (no shiny vampires here), instead the friendship and trust between a teen girl Holmes and a teen boy Watson was developed realistically. In this story Jamie Watson and Charlotte Holmes are attending a Connecticut boarding school together when a fellow student dies under mysterious circumstances, and once again the game is afoot. Charlotte’s analytical mind and Jamie’s support bring about a fun crime solving romp through Sir Arthur Conan Doyle’s world. Charlotte even has inherited some of Sherlock’s vices and Jamie has to be there for support. I may have to continue this series soon, but before I make that promise I have other Holmes retellings to get through. The first book in a witty, suspenseful new trilogy about a brilliant new crime-solving duo: the teen descendants of Sherlock Holmes and John Watson. This clever detective yarn will appeal to fans of Maureen Johnson and Ally Carter. Jamie Watson has always been intrigued by Charlotte Holmes; after all, their great-great-great-grandfathers were one of the most infamous pairs in history. But the Holmes family has always been odd, and Charlotte is no exception. She’s inherited Sherlock’s volatility and some of his vices – and when Jamie and Charlotte end up at the same Connecticut boarding school, Charlotte makes it clear she’s not looking for friends. But when a student they both have a history with dies under suspicious circumstances, ripped straight from the most terrifying of the Sherlock Holmes stories, Jamie can no longer afford to keep his distance. Danger is mounting, and nowhere is safe – and the only people they can trust are each other. This production includes a bonus excerpt from The Last of August, the second audiobook in Brittany Cavallaro’s Charlotte Holmes Series. 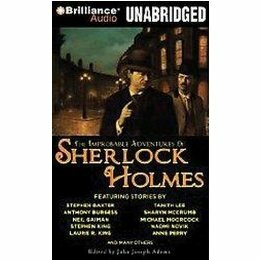 You may have read my earlier review of a Young Sherlock Holmes book, after listening to that audiobook I wanted to listen to a “real” Sherlock Holmes book. So I found this collection, and I’m so glad I did. Ralph Cosham does a remarkable job narrating the story changing voices between characters. 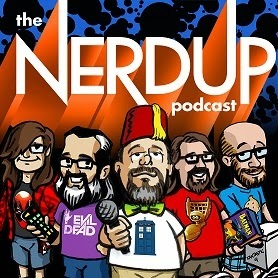 His Watson is just perfectly spot on and makes the entire collection worth listening to all day long. The fun of a Holmes story is always in the Sherlock revealing how he deduces the outcome. The common observations are sometimes the ones that solve the crime but there are times when something not revealed in the story is the solution, you just really never know. Thus making Sherlock Holmes a fun read for anyone. Running time: 4 hrs, 16 mins. I think that this book had “too big to fail” written all over it, it’s got an Oscar nominated actor reading the audiobook, it is written by two people who were the screenwriters for “Thor” and “X-men: First Class,” a hero with Asperger’s Syndrome and a facial expression guide on the cover of the hard copy version. What could go wrong? Well, absolutely nothing. This book is a big win and once again proves that Young Adult readers always get the best books aimed at their age group. Penguin Audio listed this book as one of their upcoming releases and the first thing that grabbed me was the authors listed. Being a comic book fan, this got my attention immediately then seeing that this was a an older version of Encyclopedia Brown with some Sherlock Holmes thrown in made it that much more interesting. Then throw in that the main character, Colin Fisher, has Asperger’s Syndrome, I knew it would be not only very interesting but fulfilling and I immediately requested a copy. Recently the BBC did two seasons of a television series version of Sherlock Holmes, “Sherlock”, which explained that the genius behind the deductive reasoning of the famous detective was due to having Asperger’s Syndrome. Asperger’s Syndrome is an autism spectrum disorder that is characterized by significant difficulties in social interaction, alongside restricted and repetitive patterns of behavior and interests. In this book many aspects of Asperger’s syndrome are observed in Colin that are humorous, those are: he has a vicious dislike for the color blue, he cannot stand to be touched, he needs index cards to recognize facial expressions and does not get humor. These all combine in Colin Fisher to create a very quirky genius detective. It’s Colin’s first day in High School and he feels he’s armed for the worst, with his notebook for jotting down observations, his collection of cards with various facial expressions and his intellect. But that all goes to pot (literally) within the first few minutes when his nemesis, Wayne Connelly dunks Colin’s head in the toilet. So much for High School being different. Some things have changed however, Colin’s nerdy female friend returns from the summer having had the full effect of puberty hit head on. In other words; she left middle school a nerd, but comes to high school as a hotty. Throughout Colin’s school life she has always been a friend to him. When her friends bring her a cake to school to celebrate her birthday, the school’s peaceful atmosphere is forever shattered when a gun is fired amid a scuffle between boys wanting to get some of the cake. The gun is found on the cafeteria floor with a smudge of frosting by Colin, to which he simply replies, “Interesting,” while all of the other student’s run out of the cafeteria in fear for their lives. The school officials immediately put the blame on Wayne Connelly, but Colin knows better and sets out to prove his nemesis’ innocence. Putting the powers of Asperger’s Syndrome to work, Colin is able to find the real owner of the gun and create some humorous situations that can only happen to Colin. One of the fun things about this audiobook is that whenever a situation arises that needs further explanation or just that something reminds Colin of a fact he knows, there are footnotes. In the production of this book all footnotes and Colin’s journal entries are produced with a slight reverb-type effect that gives the listener the feel that this occurs within Colin’s brain. Nice production trick that makes this book very interesting. By the way, there are several footnotes that range from in depth explanations of Asperger’s Syndrome, the doctor for whom the syndrome is named after, various logical thinkers in history and fiction and sharks. Speaking of the production, Jesse Eisenberg (who starred in “Zombieland” and “The Social Network”) narrates the audiobook and in my opinion has the vocal fortitude and acting talent to bring the character of Colin to life. He is able to deliver parts of the story with the proper emotional level and yet,when portraying Colin, is able to be the non-emotional Asperger’s Syndrome personality that makes Colin tick. All in all this is an extremely fun book for all ages, to prove that, I had the audiobook playing during one of my family’s out of town shopping adventures, and everyone in the car; my 12 year-old son, my wife and myself were quite and absorbed by the story. 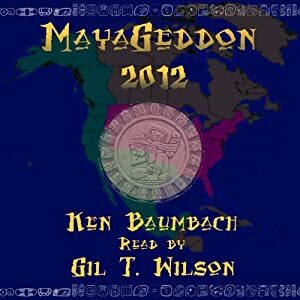 This was yet another audiobook which my son would not let me listen to unless he was present. We all had a blast with this story, and from the way the book ended with a hint of ongoing adventures, look forward to many more Colin Fisher stories. I thought this book was really fun too, and I loved Jesse Eisenberg’s narration. That’s great that your whole family could enjoy listening to it with you!